The Facilities for Arts Research will host RESEARCH NIGHT: Slideshow with Chalet Comellas, Marty Felding and Elysia Mann on October 27th from 7:00pm-9:00pm. We’ve been busy at the Facility for Arts Research! Come join us for our inaugural RESEARCH NIGHT, and check out FAR’s new event space designed by Chalet Comellas. Comellas will be talking about her inspiration and process for creating the space and how her work encourages community building and collaboration. You’ll also get to meet FAR’s new staff, Elysia Mann and Marty Fielding, who will present slideshows on their work. Don’t miss this chance to welcome our new staff and be part of the launch of our new event space. Small Craft Advisory Press will also be hosting artist Lee Emma Running from October 16 – 20th. 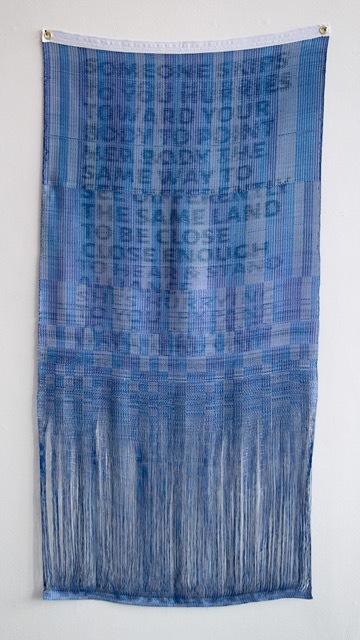 Running will be working with Denise Bookwalter on a collaborative book about touch and textiles. Join SCAP’s new Instagram feed for up to date images of the newest projects: @smallcraftadvisorypress.